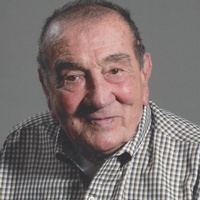 Gary Olin Schuermann of Blackwell, Oklahoma, died Saturday afternoon, September 8, 2018, at his home at the age of 79 years. Gary Olin Schuermann was born on June 18, 1939, in Pond Creek, Oklahoma to Elmer and Pauline Clancy Schuermann. He grew up in Lamont attending Lamont Public Schools. Upon graduation, he furthered his education at Oklahoma State University earning a Bachelor’s degree in Agriculture becoming his families first college graduate. Gary married the love of his life, Ruth Kreger, on June 30, 1963 in Tonkawa, Oklahoma. They moved to Billings, Oklahoma where he taught Vocational Agricultural for Billings Public Schools before moving to Blackwell in 1965 where they made their home recently celebrating their 55th wedding anniversary. Gary worked for American Cyanamid where he learned the fertilizer business. In 1972, he started S & S Fertilizer which he operated until his death. He was a member of the First Christian Church serving as a Sunday school teacher, deacon, and elder at various times through the years. Gary enjoyed farming, swimming, boating, dancing, playing cards, sporting events of all kinds, and most of all spending time with his friends and family especially his grandchildren. He is survived by his wife, Ruth Schuermann of Blackwell; two daughters, Kristi Charles and husband John of Tulsa; Kerri Henley and husband Joe of Broken Arrow; and one son, Greg Schuermann and wife Tiffany of Blackwell; and eight grandchildren; and many nieces and nephews. He was preceded in death by his parents, Elmer and Pauline Schuermann; a brother, Lonnie Schuermann; and sister Peggy Calsing. Services are scheduled for 1:00 p.m., Wednesday, September 12th in the First Christian Church in Blackwell with Reverend Jeff Koch officiating. Private burial will follow in the Blackwell Cemetery. Casketbearers will be grandchildren, Williams Charles, Elizabeth Charles, Katherine Charles, Sam Schuermann, Guy Schuermann, Max Schuermann, Lauren Henley, Jake Henley. Honorary Casketbearers will be Charles Sprague, Donald Pierce, Jim Rodgers, Allan Helsel, and Olin Tabor. A memorial has been established in his honor with the First Christian Church Youth Program in c/o Roberts and Son Funeral Home, 120 W. Padon, Blackwell, Oklahoma 74631.